1P aka 1 primaire, or else 1st grade. 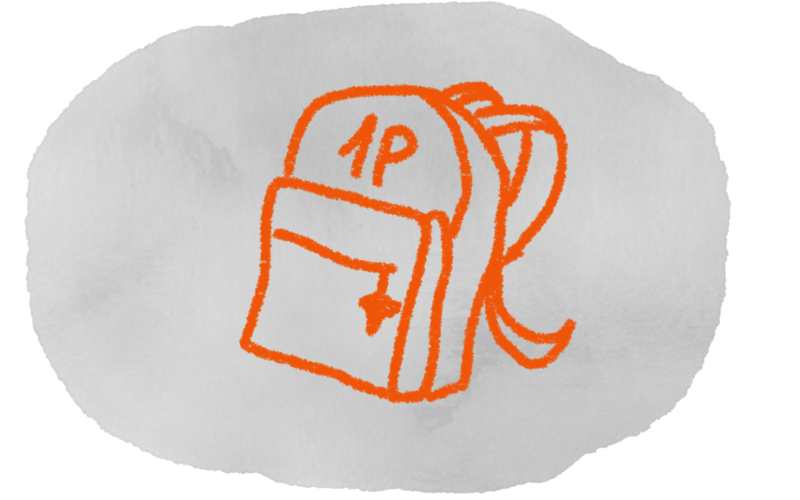 Your child enters Geneva public school this year in 1P? We got you covered. Just remember: like everything in Switzerland depends on the canton, the school is even more detailed: everything depends on the teacher. Differences from what is described here, are very likely to happen. 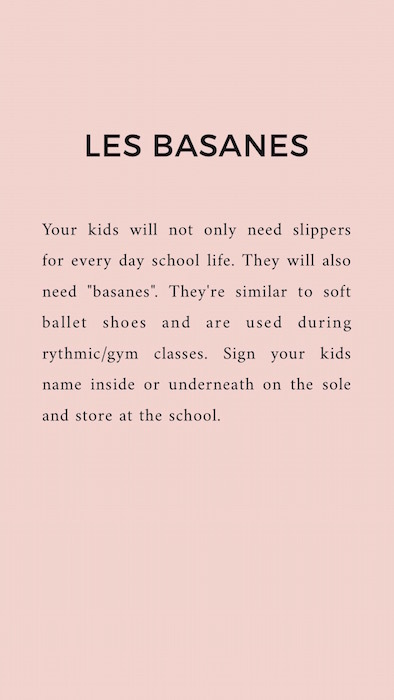 You’ll need: slippers, basanes, painting apron, a change of clothes. Also in some school: a box of tissues. 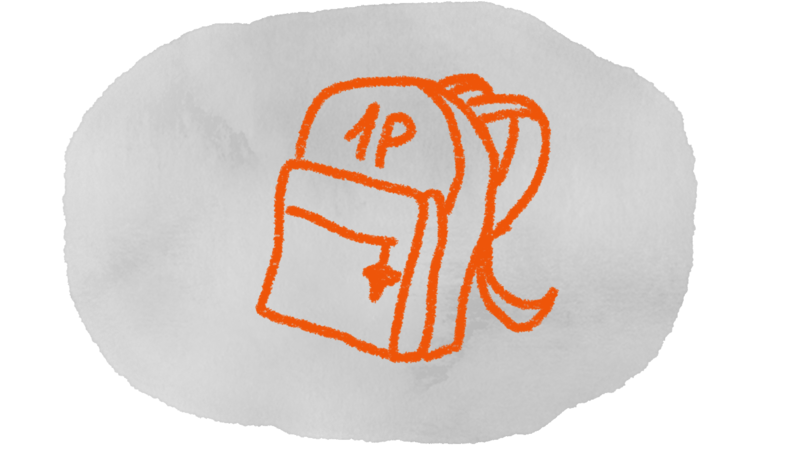 Does your child need a backpack? Yes. 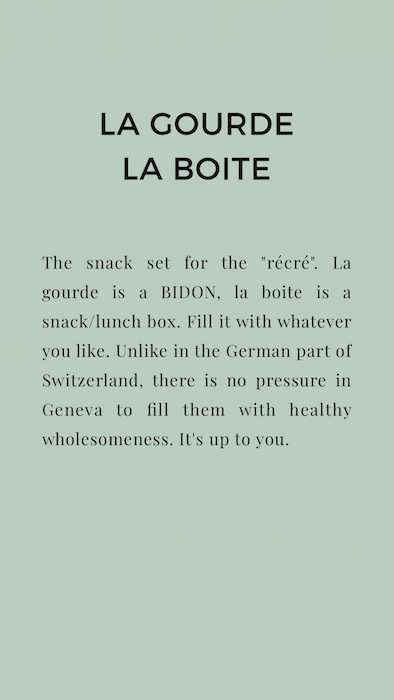 For the snack-box, the water bottle aka “la gourde”, and for the a4 sized folder aka “la fourre”. 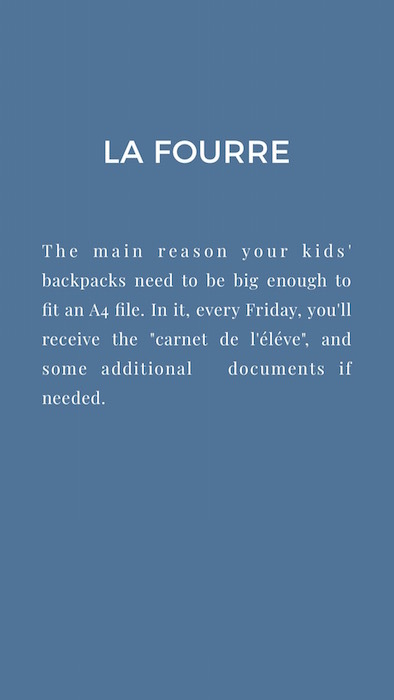 Make sure the “fourre” can fit in, especially if your child will attend the “parascolaire”. 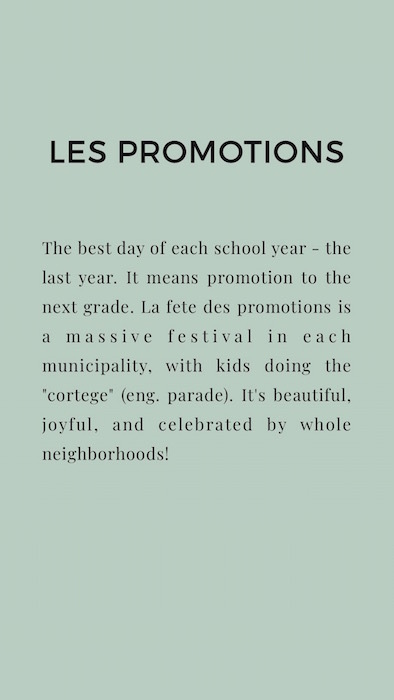 In return you will get a teacher-parent communication book also called a students book (carnet de l’élève) with all necessary explanations, addresses, and phone numbers. Further pages are like an agenda. Under each day there’s space, where both you and the teacher can write messages. Think of it like an old-school WhatsApp. You’ll also get some forms to fill in. Kids are expected to be diaper-free, and independent when it comes to all toilet-related issues. They should also know how to dress themselves, put on their shoes, etc. Of course, teachers will occasionally help if needed, but they will talk about it with you. This means that for example it is better to avoid shoes with laces until the child can tie them without adults’ help. Don’t be afraid if your child doesn’t speak French. Most probably, he/she won’t be the only one in the classroom. 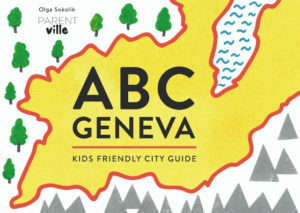 Geneva teachers are experienced in working with allophone children (=children who don’t speak French). Also, 1P is a playful year, perfect to learn the language. 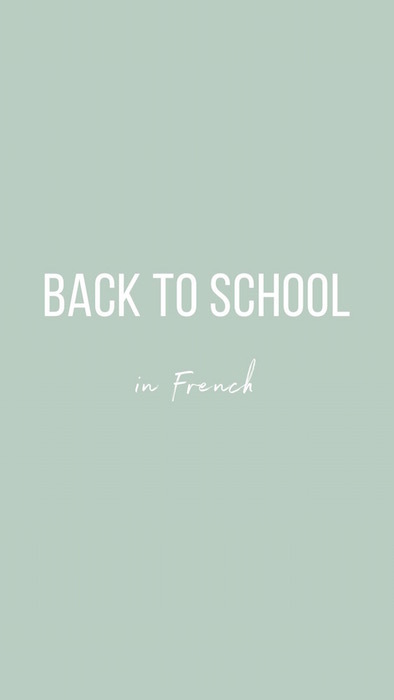 But if you do think your child will do better with some additional help, you can try a kids’ French course in one of the language schools, for example Spell Languages (offering both group and private lessons). 1P is about socializing, board games, songs, and as my daughter put it “that damn coloring”. Coloring is boring for most kids but the thought behind it is to master the pincer grasp, to better work with the pencil the following years. They get to learn their abc’s, count to 12, and write their name. But again, everything depends on the teacher. 1P classrooms are filled with toys, games, and colours. There’s usually a library corner, and a separate space for different kinds of play-pretend. There is a blackboard and chalk of course (or whiteboard and markers), but kids don’t have their assigned desks, and sit by the tables usually in small group. The whole desk matter starts in 2P. Don’t expect any reading or proper writing happening in Geneva 1P classes. This won’t happen till the 3P. To many of you it might come as a shock, but actually according to a ton of research (example of an article summing it up: here), it is a great advantage of the Swiss system. The same is done in many northern countries, especially those renown for their educational systems, eg Finland and Sweden. They’ll do some maths exercises in the form of mazes, solving easy logical tasks. They’ll have basics of geography – starting with their school setting, and maybe naming the streets around. But again, it all depends on the teacher. They’ll also have science with experiments and learning about plants or animals. 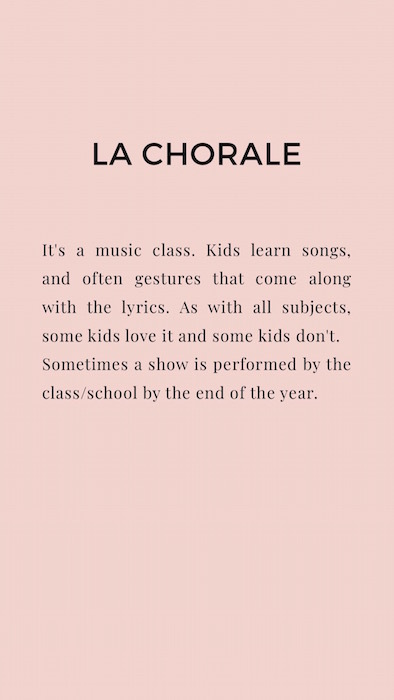 There will be a music class with singing. In other words they will be well occupied, and learn a whole bunch of things! Drop off is from 8:00 till 8:45. Provide your child with a small snack for the morning recreation time (la recrée): a sandwich, a fruit, dry fruits, or something sweet. You’re completely free to choose, apart from the dental prevention week. In some of the schools parents can walk in with their child only for the first 2 months of the school year (upon drop off, and to collect them). From 2P you will be asked to stay outside, and your child will enter the school on his/her own. The lunch break is long. It lasts from 11:30, and finishes with an afternoon drop off from 13:30 till 14:00. During lunch break, children from 1P eat their lunch, have a relax time (they lie down for 20-30 minutes, it is not a nap time). They can bring a cover, a pillow, and something to cuddle. Schools out at 16h:00 every day. There is no school on Wednesdays for 1P. 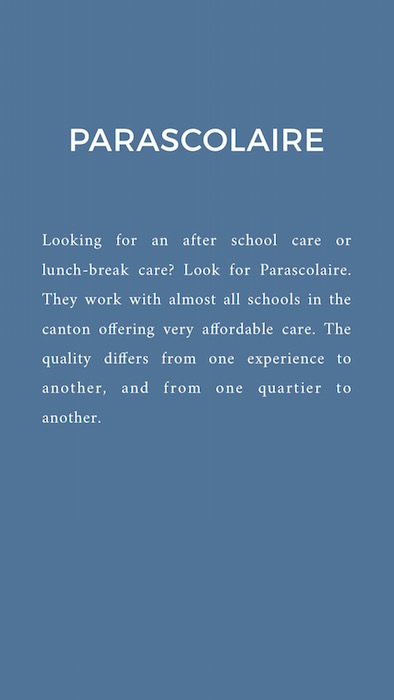 Parascolaire: the vast majority of the schools offer a “mid-school” care (lunch break), and an after-school care (from 16:00 till 18:00). Some might open “before-school” care if needed. 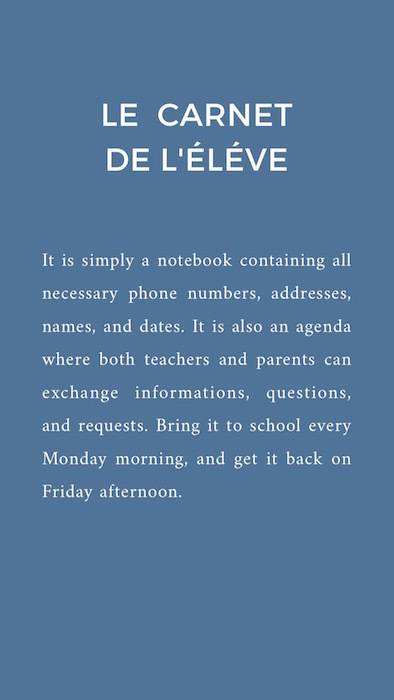 Outside those days, you need a school’s permission, and to get one you’ll need to write a request to the teacher (when it is less than 4 days), or to the director of the school (when requesting 4+ days). You should hand it in, ideally, at least 14 days in advance. 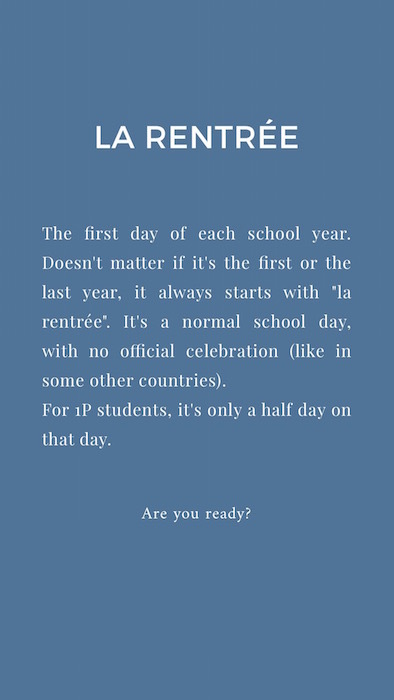 Exception: Jeûne genevois, that always happens in the beginning of the school year, so you can hand in the request in the first few days of school. But lets not get ahead of ourselves wit. 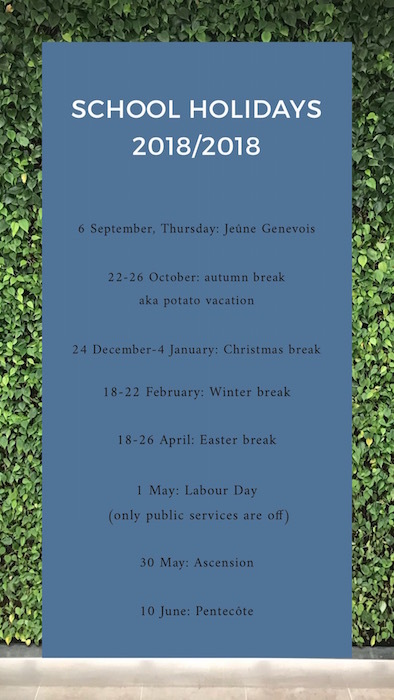 We have loads of time to plan those holidays. Let’s first start that first year! I wish you and your kids a very smooth transition to the school life, and a very fun and playful year!